Patrick Kelly was a celebrated African-American fashion designer who came to fame in France. Among his accomplishments, he was the first American to be admitted to the Chambre syndicale du prêt-à-porter des couturiers et des créateurs de mode, the prestigious governing body of the French ready-to-wear industry. As you all may know, the fashion industry, Gucci, Prada, and Moncler, in particular has been under fire for the disrespectful use of Blackface on some recent garments causing a ton of backlash from the african american community. Their ignorance in exploiting something that mocks a whole race of people is totally uncalled for and degrading to their most profitable customers within the black community. 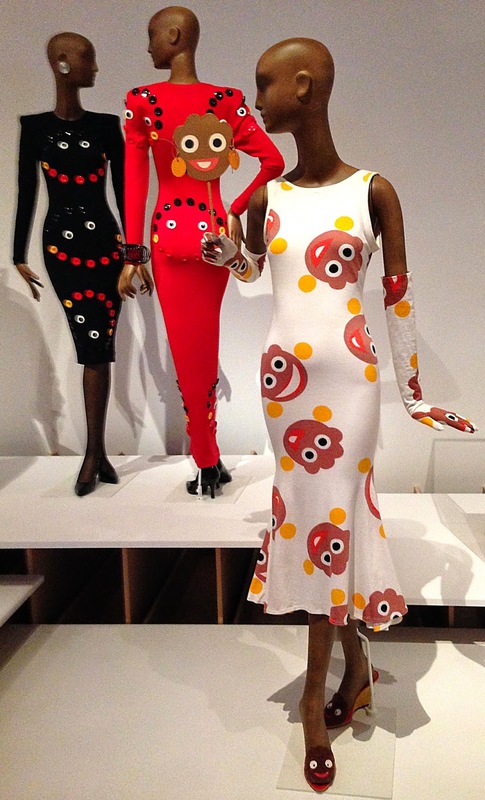 But what you guys don’t know is they were just copying Patrick Kelly and some of his designs from decades ago. What these brands lack in social empathy they also lack in originality. Yes fashion is cyclical and styles return to runways and storefronts many times before actually dying out, but the blatant stealing of cultural iconography and using it as your own is a definite no-no. Especially one that can be seen as degrading and a mockery used by anyone let alone white folk who created the “blackface” character Sambo as the comic relief fool that was used to continue the rhetoric of black people being an inferior race. Furthermore lets stop spending with these companies and giving them free promotion talking about them after they do disrespectful things to our culture. there are so many young african american designers that could use the support to become these major labels that our community spends over a trillion dollars with yearly. We are the culture, we are style personified. Everyone in the world wants to be like us but nobody wants to be us, its sickening but I digress. In conclusion, what I believe Patrick Kelly was doing, was more so a celebration of blackness and using the blackface logo as a symbol of “Yes We are here” in this fashion industry, being the first african american accepted in the top tier of fashion houses. I don’t necessarily like it cause it still strikes an uneasy cord with me seeing the ant jemima dolls and things of that nature but i get it and if he can make it than so can I. But what it is not, is some white uncultured designer making fun of our race, while making trillions off us as well, that i don’t condone. Heres a few of Patrick’s famous ready to wear ads that i’m sure you will notice has inspired countless other brands to date.